Summary: The “Green” movement is beginning to make its way over to the foam industry. The future of foam is looking brighter and greener. As you already know, not every foam product is free of both chemicals and harsh resources that affect the environment. However, with recent changes already in play for the foam industry, the eco-friendly movement is already well in stride. Polyurethane foam, although not the most ideal type of foam product when you consider the chemical nature of it, can be categorized into two types: open cell and closed cell foam. Both foam types offer a rigid and flexible cell wall that is produce in large blocks through a continuous extrusion process. However, during this process, a combination of different chemicals is introduced to create the foam. You’ll typically find that polyurethane foam can be easily cut, shaped, and carved, making it a common option for manufacturers. They can be machined or CNC-milled without static and don’t contain glass fiber fillers that affect the overall strength of the foam. If you are looking to go greener, there are numerous high-density foam products that are environmentally friendly. These products include post-consumer and renewable material resources. Often used in mold making, composite core, and household items, these eco-friendly products are starting to impact the future of foam production. Due to the advocacy of a greener environment, manufacturers are being pressured into developing new and improved methods of producing these foam products, which have led to a green movement. 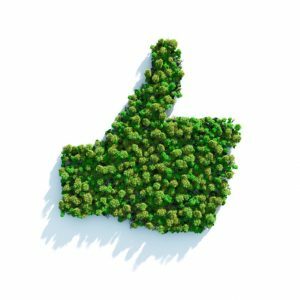 The future definitely looks brighter thanks to these eco-friendly foams, and it’s only a matter of time before you start seeing a multitude of green products available at your local mattress store. Blog submitted by The Foam Factory: Searching for the right patio cushion foam or maybe an eco-friendly mattress that’s null of harsh chemicals? Visit The Foam Factory online for the widest selection of foam products.